Minneapolis has a unique and beautiful history woven into its streets. Capture that vintage magic by making your Minneapolis wedding photography session a tour of some of the city’s most stunning historic hot spots. Start off in the St. Anthony Main neighborhood, or as the locals refer to it: “Nordeast.” Overlooking the great Mississippi River, the brick and stone setting has historic roots going back to the mid-19th century. Restoration efforts have filled the neighborhood with interesting restaurants and shops that make a fabulous backdrop for wedding photography shoots. Take some pictures street-side beside the old buildings, and then walk to the river to get some gorgeous waterfront shots. For your next stop in downtown Minneapolis, wedding photographers and their bridal party can walk to the city’s oldest Catholic Church that is till in use: Our Lady of Lourdes Church. The lengthy staircase leading up to the three towering steeples is a great site for some shots of your attendants lining the staircase. 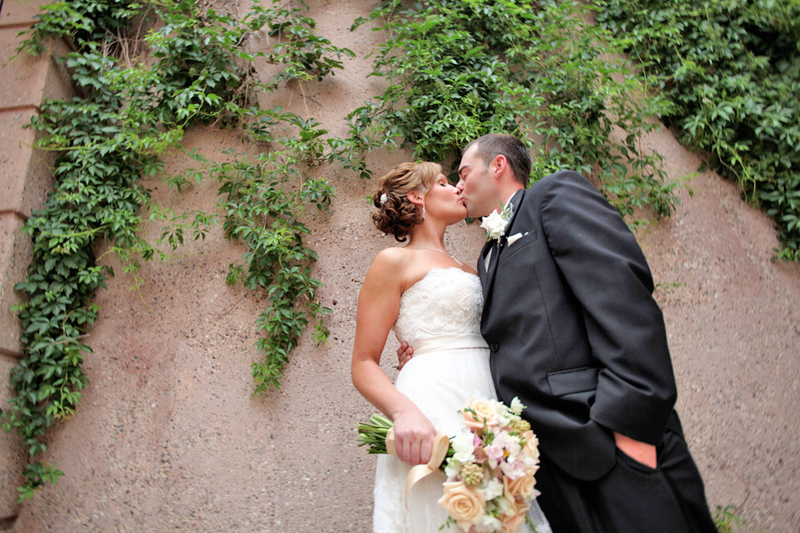 Have the bridal couple stand at the top of the stairs for some dramatic poses against the church’s stone façade. For your final dose of Minneapolis history, walk to nearby Chute Square where you will find the Ard Godfrey House. This mid-19th century frame house is a quaint reminder of bygone times, and it will make a great final addition to your Minneapolis wedding photography album. Pose for some shots against the butter yellow exterior, or lean over the wooden fence for some casual pictures. By the end of this photo session, you and your new spouse will have a wonderful album full of historic gems and treasured moments with your nearest and dearest. Swede or not, the opulent design of the American Swedish Instituteis perfect for your Minneapolis wedding photography backdrop. With a romantic turret, arched portico, stone face and elegant balustrades, this building can create the dreamy, regal photos that you envision for your special day. You and your wedding party can line up on the green lawn in front of the building, or get creative with the stone terrace by having the bride lean over to kiss the groom below. Your pictures will come out unique and personal with a hint of chic vintage flair. For couples seeking the perfect natural setting for their Minneapolis wedding photography session, drive out to Theodore Wirth Park on the northwest side of the city. First, stop off at the Eloise Butler Wildflower Garden and Bird Sanctuary for some floral backdrops. The garden is 15 acres of nature and blooms with trails winding their way through wetlands, prairie, and woodland habitats. Have your photographer snap some pictures of you and your entire wedding party in front of some gorgeous blossoms, and get a shot of the bride and groom walking arm in arm through the park. The garden’s gates are also a great prop for pictures, so be sure to incorporate them in your session. If you’re lucky, you may be able to catch some of the 140 species of birds that flit through the garden. Next, head over to Wedding Hill, the site of many happy Minnesotan weddings. The spot is adjacent to the Quaking Bog parking lot and overlooks the serene waters of Birch Lake. Even if you haven’t rented this site out for your own wedding, the stunning forested scenery can still grace your Minneapolis wedding photography album. Since you are just a few steps away, walk over to the Quaking Bog to take in one of the state’s most unique habitats. Home to a host of dragonflies, the boardwalk and mossy bog are a great setting for some ethereal shots of the bridal couple. Your Minneapolis wedding photography session can also involve some casual beach pictures if you head up the park’s road to Wirth Beach on Wirth Lake. With sandy shores and smooth water, this pristine beach is great for couples who love the seaside. Write love messages to your spouse in the sand while your photographer captures the action, or have the entire bridal group play a friendly game of beach volleyball. Action shots will show you and your gang full of energy and vitality, which always translates beautifully to still shots. 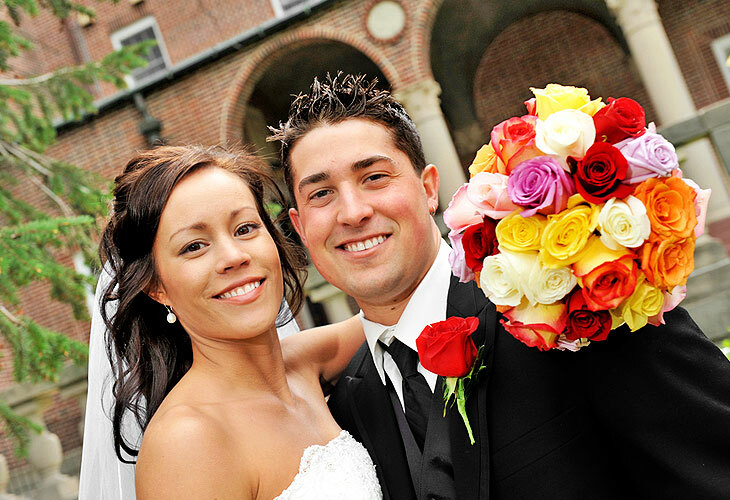 Wrap up your session with your Minneapolis wedding photographer at the Theodore Wirth Golf Chalet. The historic building echoes the cozy stone and wood architecture of Swiss ski chalets and will look beautiful as a backdrop for your last few wedding pictures. Pose for group images in front of the stone entryway or out in the vivid green lawn in front of the building. Finally, you and your wedding party can wave goodbye to the park (and your photographer) through the window of your limousine for some fun end-of-the-album shots. Don’t worry, your photographer can still follow you to your ceremony or reception if necessary.